The launch of a new webpage on the wonder city marks the start of Meliá Cuba’s actions to celebrate Havana’s 500th anniversary. Declared a World Heritage Site by UNESCO and a Wonder City of the Modern World, it’s Havana’s architecture, traditions and friendly people that make this city so special. Meliá Cuba invites you to discover unique experiences during the 500th anniversary celebrations by staying at Meliá Habana, Meliá Cohíba and Tryp Habana Libre hotels. 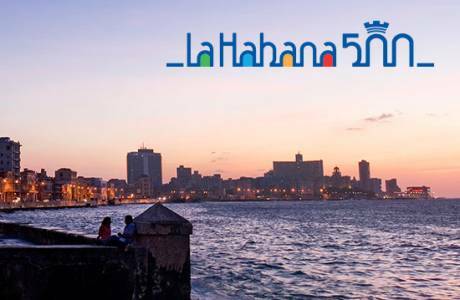 The website is part of the media campaign ‘A city, a story’, which the company created to promote the heritage cities of Havana, Cienfuegos, Camagüey and Santiago de Cuba. This campaign showcases the tourist potential of these destinations and the country's heart and soul: its people. At www.meliacuba.com travellers will find real stories told by locals highlighting how genuine and unique every destination is. You can also find suggestions for experiences and places to visit to make the most of your time in the heritage cities. Meliá Cuba’s launch of this campaign and presence at these destinations consolidates the hotel chain's strong commitment to the tour segment and cultural and heritage tourism in Cuba.